The Connecticut Sea Grant Education Program provides professional development in the form of training and workshops for K-12 educators, curriculum consultation, resources and publications, links among educators and scientists, and opportunities for educators, K-12 students and undergraduate/graduate students. 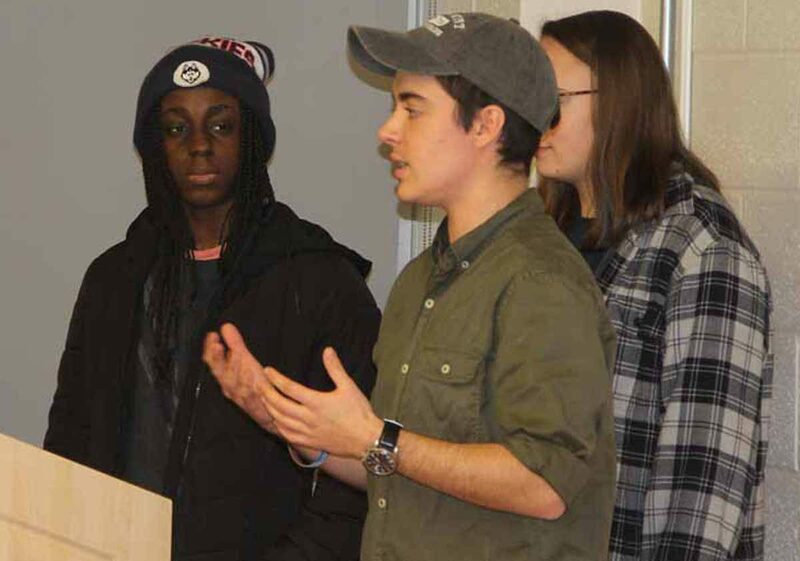 Each February, Connecticut Sea Grant coordinates an academic competition for teams from Connecticut and Rhode Island interested in marine and aquatic sciences, Each team consists of 5 high school students and a coach (teacher). Each fall, recruitment notices are sent to each public and private school with students in grades 9 - 12. Teams are accepted on a first-come, first-served basis after notices have been sent. To volunteer or donate to the event, please contact Diana Payne. Long Island Sound Mentor Teacher (LISMT) Program: Connecticut Sea Grant is presently seeking teams of teachers from each of the following grade level subsets: K-2, 3-5, and 6-8. Each grade level specific team will work together to plan a professional development session for their peers. There is funding for each team to provide an outdoor component (shore or boat excursion) as part of the session. Each LISMT receives a stipend and lots of Long Island Sound resources for you and your classroom! Building New England Connections: BNEC connects New England elementary and middle school teachers and their students to their local environments and the Long Island Sound. A joint venture between Project Oceanology and Connecticut Sea Grant, the project bridges the gap between the teaching of science and the process of science by providing teachers with professional development experiences and students with meaningful educational experiences. Direct connections are made to marine, estuarine and aquatic environments through the use of Long Island Sound and its extensive watershed, which extends through most of New England. 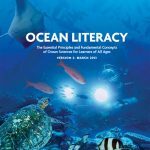 The project materials and philosophy are rooted in state and national science education standards and the ocean literacy essential principles and fundamental concepts. Funded by NOAA's B-WET (Bay Watershed Education and Training) New Enland program. Interested teachers may contact Diana Payne for information about joining our team! Connecticut Environmental Literacy Plan: Connecticut is in the process of preparing an Environmental Literacy Plan. The project is led by the Connecticut Outdoor and Environmental Education Association (COEEA), which notes within the United States and in Connecticut, the need for comprehensive environmental education has never been greater. The health of Connecticut's future depends on its citizens being environmentally literate and able to make informed choices about environmental issues such as water use, air quality, and land development. Connecticut, along with many of its sister states and conservation organizations, is working with the federal government to create Environmental Literacy Plans (ELP) to prepare today's youth to become tomorrow's stewards of the environment. For more information and to sign up to be involved in this effort, visit the COEEA web site. Nab the Aquatic Invader! "Nab the Aquatic Invader! is a fun way to learn about aquatic invaders. By using this site you can check out lots of unusual species that create real problems in the Atlantic, Pacific, Gulf, and Great Lakes regions. There are many ways that this site can help you with your class projects. By doing the activities and playing the games on this site, you will learn about nature and be inspired to help the environment by "nabbing" these pesky critters and seeing that you can make a difference. Now in its second year, the Climate Corps class invites students to tackle this global challenge on local scales, methodically breaking it down into more manageable parts. The NOAA Sea Grant John A. Knauss Marine Policy Fellowship application period is now open. The Knauss Fellowship provides a unique educational experience to graduate students who have an interest in ocean and coastal resources and in the national policy decisions affecting those resources. The Bridge is a growing collection of the best marine education resources available on-line. June 8 is World Oceans Day. Visit the website to learn how to get involved. Resources available for download.